Finance Minister Arun Jaitley announced that the Union Cabinet has given its in-principle approval for disinvestment of Air India and set up a committee under his charge to work out how this decision would be implemented. The NDA government on Wednesday decided to exit the state-run Air India that was in the red with a "legacy debt" of over Rs 52,000 crore, twice more than the value of all its aircrafts, but hasn't made up its mind how it should disinvest its share. Finance Minister Arun Jaitley announced that the Union Cabinet had given its in-principle approval for Air India's disinvestment and set up a committee under his charge to work out how this decision would be implemented. This committee would decide how much of the central government's share should be disinvested, how this should be done and also if the airline's real estate should be part of the deal. On Wednesday, Mr Jaitley did not elaborate on the reasons for the government's decision to exit Air India; he said these had been mentioned on several occasions in the past. 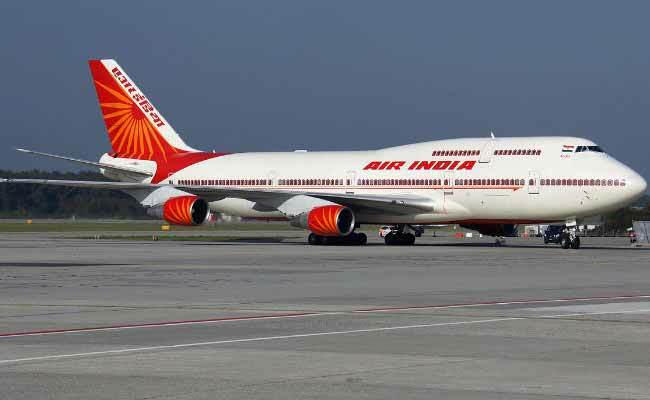 But Civil Aviation Minister Ashok Gajapathi Raju last month suggested to NDTV that the airline with its legacy debts could not continue to be funded by the government. "The Maharaja... is now impoverished," he said. Mr Raju had backed the government's think-tank, Niti Aayog, which wanted him find a private buyer, write off 50 per cent of the airline's liabilities and transfer the remaining liability, mostly on account of loans taken to finance a controversial decision to buy aircrafts, to the new owner. Niti Aayog vice chairperson Arvind Panagariya had conceded that nobody might really want to buy the airline unless the government wrote off its Rs 52,000 crore debt. In fact, according to the finance ministry, so huge is this debt burden that if the airline were to sell all its aircrafts, it would only be able to wipe out less than half of its debt. Politically, it isn't going to be easy. Air India employees have threatened to launch protests if the government really goes ahead to sell the airline. It isn't the first time that a government has proposed to sell the airline. But others had backed off much before the proposal reached the cabinet. This time, the NDA government hopes to resist the political fallout of the move by blaming the previous UPA regime for much of the financial mess that the Air India is in. The CBI has already moved in. Among the cases that the agency is probing include investigating allegations that buying planes for 70,000 crores or $10.8 billion had caused a financial loss to the "already stressed" national carrier. That the CBI is probing the purchases also helps signal that it wasn't just a business decision gone wrong.